Alignsat 0.55m flyaway manual antenna is specially designed for highly portable antenna by adopting carbon fiber material with light weight and can be assembled in less than 5 minutes by one person. Alignsat 0.55m flyway manual antenna is specially designed for highly portable antenna by adopting carbon fiber material with light weight and can be assembled in less than 5 minutes by one person .It can provide users exceptional performance in a light weight package. 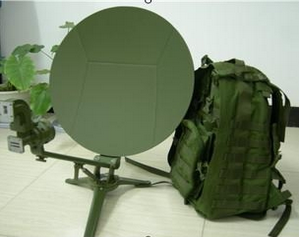 Carbon fiber antenna reflector with light weight, high precision and high efficiency, corrosion resistance and other characteristics, it ensured the antenna in the normal operation under harsh environment in greatest degree. Compact structure, Lightweight, portable, rapid deployment, high performance, a person can install within 5 minutes, available in airline baggage. 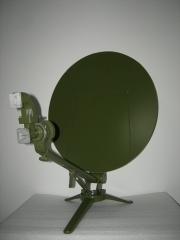 The latest design of the Ku-band satellite antenna, being compact and robust, cost-effective can be used in the fast and reliable satellite communications. Designed specifically for field use, regardless of when and where, it can quickly transfer high-quality broadband content. Sudden public events and all kinds of disasters on-site information gathering. Public security, military, government, oil, water conservancy, electricity, finance and other important sectors of the country. The remote areas and the vast rural areas out of coverage.